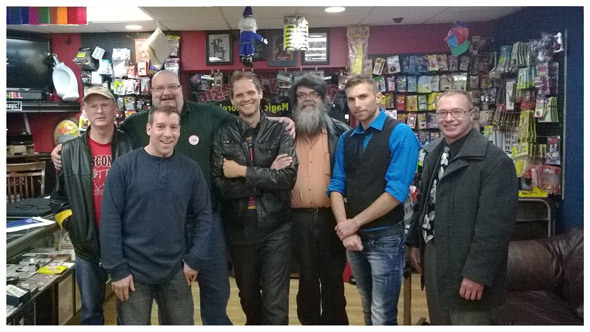 L to R. John Lewit, Steve Hintz, Big Guy, Nathan Kranzo, Jon Hughett, Andy Luka, Sky Busk. 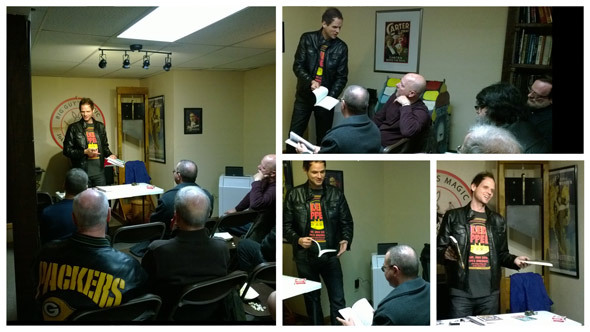 Photo's by DrS. 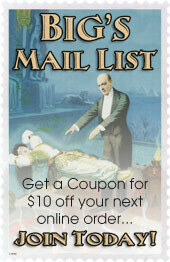 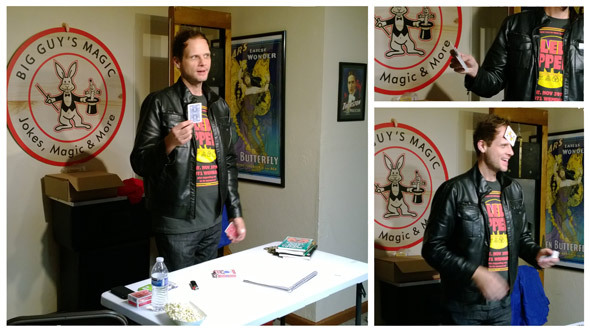 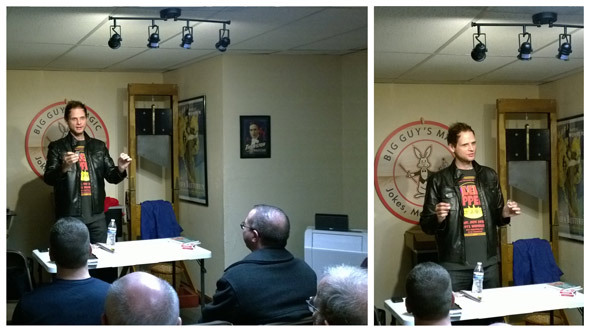 Nathan Kranzo lectured at Big Guy's Magic Shop on December 4th, 2013.